And you undoubtedly had no touble enjoying all the benefits of your intimate relationships. But as you got older, things began to take a turn for the worse. You’re peeing more than usual during the day… and even getting up 2, 3 or 4 times a night to go to the bathroom. These problems are certainly annoying to say the least. But it’s important to know that ignoring them can sometimes lead to more serious health issues. Left alone, prostate issues can turn a previously strong, confident, virile man into a shadow of his former self. I’m Joshua Corn, Editor-in-Chief of Live in the Now, one of the fastest growing natural health publications in the nation. My passion for natural health has always driven me to educate people on alternative solutions that are both safe and effective. But still, you don’t think it’s anything to be that concerned about. But as time ticks by, it begins affecting you in other ways. Not only does this problem have you peeing at all times of the day and night, but it begins creeping into other parts of your life, too. Most notably, your personal life and your intimate relationships. As many men report, these problems eventually end up disrupting their bedroom their life as well. And as time goes by, things only get worse. However age means nothing once you have your prostate health under control. And this isn’t just mere conjecture. Thousands of men across the country just like you have waved good-bye to nagging, worrying urinary problems. They’ve rediscovered their health, maintained healthy prostate function, eliminated poor urination…and have rediscovered the intimacy they thought was gone forever! For years, doctors in Europe have been using a combination of two all-natural nutrients to address prostate health. As you’re about to see, this powerful double-action approach is safe and amazingly effective – and free of the unwanted side effects that plague other options. When you were younger, you didn’t give your prostate a second thought. And that’s because it worked at the peak of its powers, performing all the vital functions just like nature intended. Well, I sure hope you’re ready, because you’re about to feel that great again. Using what I’m about to reveal, you can say good-bye to troublesome urinary problems and begin seeing and feeling the incredible results faster than you may have thought possible. So what are these two superstar nutrients that can give you all of these benefits? The first nutrient is a potent plant extract made from flower pollen, which is rich in vitamins, minerals, amino acids and plant hormones. This pollen extract is proving to be one of the most effective prostate-supporting nutrients Mother Nature has ever produced. In a double-blind study published in the British Journal of Urology, researchers gave 53 men with prostate problems either 252 mg of this pollen extract or a placebo for six months. At the end of the study, the researchers found that men taking this extraordinary extract got an average 69% improvement in their symptoms. To get further evidence of how potent this flower pollen is for prostate health, the researchers looked at specific prostate-related parameters. First, they took the unusual step of peering inside the prostate gland with ultrasound scanning equipment. They looked at men’s prostates before and after the study to record any changes in size and shape. All told, according to the researchers, a whopping 85% of men in the study reported significant relief from the urinary problems that had troubled them for so long! First, it relaxes the tiny muscles in your prostate. When you have urinary problems, these tiny muscles spasm and contract continuously. Have you ever noticed what happens when you stand on a garden hose while watering plants in your garden? Water flow gets blocked, pressure drops, and you get a tiny trickle of water. …It can also affect your intimate relationships. Fortunately, this flower extract helps relax these tiny muscles, so in just a short space of time, symptoms can be reduced or even eliminated entirely. [10,11] You get a stronger flow of urine, increased bladder emptying, and a dramatic boost in urinary satisfaction. You can go for hours at a time without peeing. You sleep better because you don’t have to get up 3-4 times a night to go to the bathroom. You get a properly emptied bladder because your prostate can push more urine through. Third, it supports normal levels of the inflammatory markers that affect prostate size. 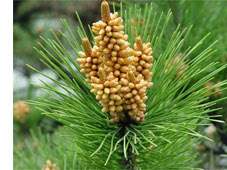 [10,11] This pollen extract is teeming with cooling nutrients that support a healthy inflammatory response. Less inflammation means better urine flow, no burning sensations when you pee and better urinary control. Improves Prostate Symptoms Scores By 350%! While Graminex® flower pollen extract alone has been shown to provide extraordinary prostate relief, there is a second powerful nutrient I recommend for prostate health that you should know about. Beta Sitosterol is a powerful plant sterol that’s been used to support prostate health in Europe for more than 50 years. Since its discovery, Beta Sitosterol has been the subject of numerous scientific studies. And the results have been nothing short of remarkable. In a 6-month double-blind study involving 200 men with prostate problems, researchers gave half of them 60 mg of Beta Sitosterol, and the other half got a placebo. They then measured their symptoms using the International Prostate Symptom Score (IPSS). This test measures urine flow, frequency, urgency and other symptoms. The results are startling to say the least. Men who took Beta Sitosterol got a 7.4 point decrease in in their prostate symptom score for a whopping 350% improvement in their prostate symptoms over the placebo group! What’s more, the men in the Beta Sitosterol group increased bladder emptying by an impressive 54%, while reporting a 35% boost in urinary flow. That meant they were peeing less and were not getting up two, three or more times a night to go to the bathroom! And over time, things only got even better. In a follow up study, researchers found that Beta Sitosterol kept delivering the benefits. Urinary flow was increased even further and IPSS lifestyle scores improved significantly, too. Perhaps most strikingly of all, the researchers performed a further trial – this time on the men in the placebo group. What would happen if they suddenly gave the placebo participants Beta Sitosterol? Well, they decided to find out. And the results were significant. Urinary flow was boosted by 21%. And bladder emptying increased by 31% – just by switching from a placebo to Beta Sitosterol! • Sleep like a baby at night! Get a full night of restful, rejuvenating sleep every night without repeated trips to the bathroom! • Enjoy healthy urine flow. Boost bladder emptying and eliminate hesitation and dribbling. • Rejuvenate your love life! Feel and perform like you did in your 20s…enjoying uninterrupted intimacy! • Restore your male “swagger.” Be the strong, virile, confident guy you used to be before prostate problems reared their ugly head. Besides my work with Live in the Now, I also run a company called Stop Aging Now, which has been making premium-grade dietary supplements for over 20 years. Working with our Scientific Advisory Board, I’ve created a natural prostate and urination support breakthrough by combining both Graminex® and Beta Sitosterol, along with other proven ingredients, into an amazingly effective and super-convenient supplement called BetaPollen PLUS™. It’s also incredibly affordable with a price as low as $14.95 per bottle. This way, nearly everyone can take advantage of its amazing benefits. • 60 mg of Beta Sitosterol Complex,the powerful plant compound has gained popularity for its ability to support normal prostate size and function as well as cardiovascular health. • Only 1 Pill Per Day – BetaPollen PLUS is so concentrated that you only need one veggie capsule per day, making it incredibly convenient, especially for guys who don’t like taking pills. • Quality You Can Trust – BetaPollen PLUS is made in Stop Aging Now’s own state-of-the-art, FDA-inspected facility located in Florida to meet or exceed stringent U.S. Pharmacopeia (USP) standards for quality and purity. • Affordable and Risk Free – This amazing formula is available for as low as $14.95 per bottle for a one-month supply. Plus it ships to you for free and comes with an “any reason” 365-day guarantee of a full refund for up to one year after purchase. I honestly want this product to be the solution you’ve been looking for, and I want you to WOW your doctor at your next checkup. But I’m sure you’ve heard many promises before, which is why BetaPollen PLUS comes with a 365-day return policy. That’s right, if it doesn’t work, it’s FREE. Even if you’ve taken every last capsule if you aren’t satisfied, I will still give you every penny back – up to one year after purchase. It also ships to you for FREE, so there’s truly no risk! Order Now and Get Relief Fast! 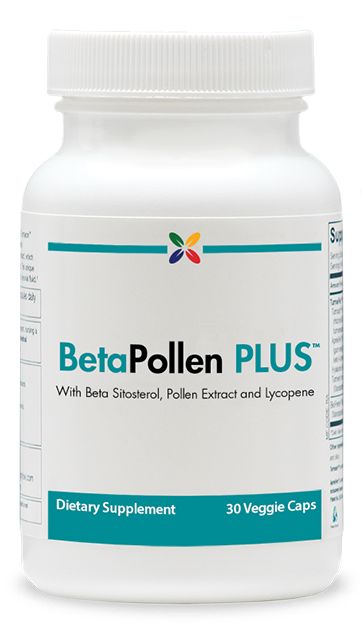 The great news about BetaPollen PLUS that it is quickly absorbed into your bloodstream, and you’ll start noticing the effects faster than you may have thought possible. Whether you’re concerned about avoiding trouble down the road or simply increasing your comfort level and quality of life now, BetaPollen PLUS is a smart investment. I hope you’ll give it a try! Per Bottle + Free Shipping — ORDER NOW! 1. Campbell’s Urology. 8th ed. Philadelphia: Saunders; 2002. pp. 1297–1336. 9. Int J Mol Sci 2014;15(1):1433-40. 10. Eur Urol. 2009 Sep;56(3):544-51. 11. BJU Int. 2000 May;85(7):836-41. 12. Mol Cell Biochem. 2003 Aug;250(1-2):21-6. 13. Urologiia. 2007 May-Jun (3):35-9.